404 people in our community are currently praying with you. You usher in another day, untouched and freshly new, So here I come to ask You God, if You'll renew me too. Forgive the many errors, Lord, that I made yesterday, And let me try again, dear God, to walk close in Thy way. But Father, I'm aware that I can't make it on my own. So take my hand and hold it tight, for I can't walk alone. 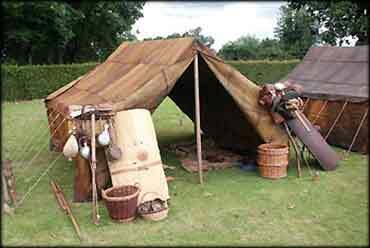 A roman military tent, such as Paul would have made. There he found a Jew named Aquila, a native of Pontus. He had recently come from Italy with his wife Priscilla because Claudius had ordered all Jews to leave Rome. Paul visited with them. Because they practiced the same trade, he stayed and worked with them. They all worked with leather. Every Sabbath he interacted with people in the synagogue, trying to convince both Jews and Greeks. Once Silas and Timothy arrived from Macedonia, Paul devoted himself fully to the word, testifying to the Jews that Jesus was the Christ. When they opposed and slandered him, he shook the dust from his clothes in protest and said to them, "You are responsible for your own fates! I'm innocent! From now on I'll go to the Gentiles!" He left the synagogue and went next door to the home of Titius Justus, a Gentile God-worshipper. Crispus, the synagogue leader, and his entire household came to believe in the Lord. Many Corinthians believed and were baptized after listening to Paul. Today's Scripture is a straightforward account of Paul in Corinth. 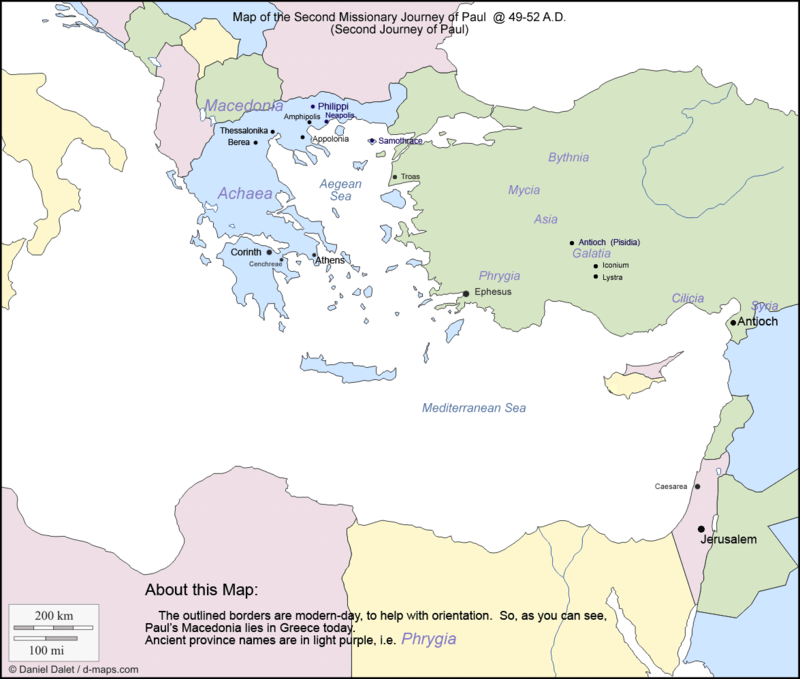 Paul stays at first with Aquila and Priscilla, Italian Jews who, like many Jews to come, had been expelled from their country by a villainous ruler. He then gets upset because so many Jews are resisting conversion and moves in with a Gentile family, declaring that the Jews can -- in effect -- go to hell. We get some insight into Paul's method of travel. Unlike most pilgrims, Paul is not carrying money to pay for his trip or asking for donations. He is working his way. His trade is working in leather, and he moves in with Aquila because he is also a leather-worker. No doubt this was advantageous to Paul; Aquila would have known the best places to buy leather and supplies and to sell finished products, and might have given Paul a workspace. Jews probably did not tan much leather, which is difficult to do while following Mosaic law, so Paul would have bought his skins already tanned. Their leather was primarily goat and calf skin, which are "clean" animals and make light leathers. Today, some Christians use the word "tentmaker" to describe people who function in Christian ministries but receive little or no pay for church work, getting their livelihood from unrelated work. A few of them actually make tents to earn money!